Originally trained as a librarian, Alisa loves tracking down the details behind her stories. As editor of Science Node (sciencenode.org), an international magazine of science and technology, she learns something new every day. She particularly enjoys writing about women and diversity in technology, digital humanities, and the intersection of science and the natural world. 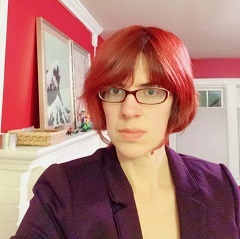 Alisa is also a writer of speculative fiction for adults and teens and uses research to build worlds, stoke imagination, and anchor her stories. Her fiction has been recognized by the Writers of the Future award, the Italo Calvino Prize, and the Indiana Arts Commission.